Save Your Seat! 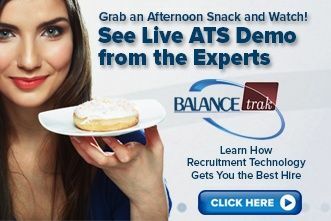 Live ATS Demo Today at 2pm. Register today to see the latest in recruitment technology! Learn how to use a customizable applicant tracking system to beat the competition, and win the talent war. It’s a candidate’s market, so you need the right tools to get the hire you desire for your company.